Eugene "Gino" Ambo was a colorful ocean racer, photographer and outrageous wit who operated a photo shop in Annapolis. His era ended in April when he died of pneumonia at the age of 82. A colorful presence on the ocean-racing scene, Ambo settled in Annapolis, more or less, after falling in love with the town during his first visit in 1974. He soon became a strong social voice as one of the founding fathers of the Eastport Yacht Club, a social organization created for ocean-racing deckhands and such. His main contribution was creating a famous annual party with a somewhat crude name that has since been dubbed the "Eastport Cotillion." Ambo, a Chicago photographer who owned his own ad agency, was also a successful real estate investor in the Windy City in the 1960s. He fell in love with sailboat racing when a friend invited him to take part in a long-distance Great Lakes race. That encounter changed his life, and he tossed everything aside and went off to sea, leaving an assistant in charge of the business and becoming a professional ocean racer and delivery captain. 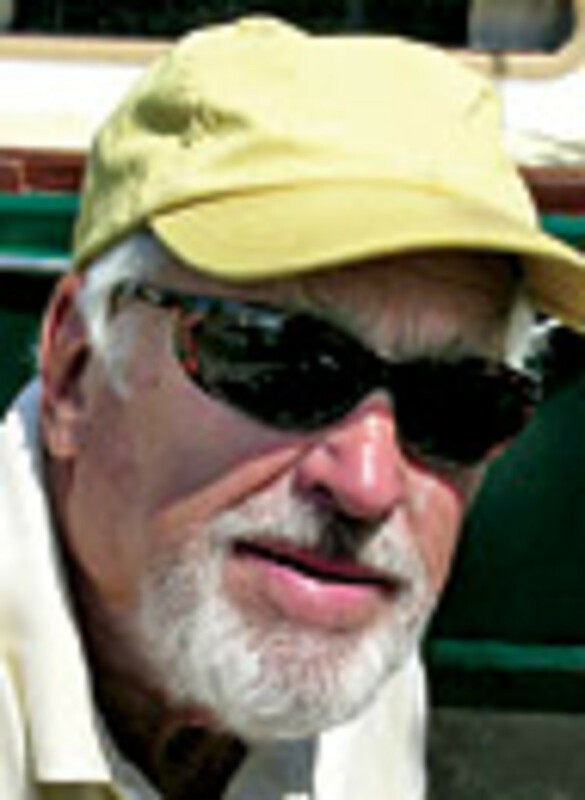 Moving to Annapolis in the late &apos;70s, he skippered Water Witch, raced big boats and ran a photo-developing shop, wisely selling out when the computerized age began posing a threat to such businesses. There are many words used to describe Ambo: outrageous, irreverent, witty, brazen, a bit of a rogue, always amusing and unpredictable. He was a talented navigator famed for his blunt-spoken ways and shouted, withering barbs of criticism. When he decided to make a loud remark at a post-race party, an expectant hush came over the sailing crowd, which looked forward with glee to his forthcoming slings and arrows. "Lovable and brilliant, he was a great admirer of beautiful women, and they loved him in turn," says Robb Ladd, an Annapolis yacht designer and a fellow founder of the somewhat irreverent Eastport Yacht Club along with historian Fred Hecklinger and others. "I learned more from him in a 45-minute conversation than in a year of college." For years he hosted a Dec. 7 Pearl Harbor Day party at his home and enjoyed humorously pointing out the set of circumstances that befell his family. "At heart, he was fiercely conservative and loved America," Ladd recalls. "Now, with him gone, I remember him saying something about all of us getting older and eventually coming down with what he called ‘Furniture Disease,&apos; where one&apos;s chest falls into his drawers." Gino-specific tales are told and retold, and details sometimes get scrambled. His fourth wife, Milenka Salinas Lopez of Chicago, provided some background. One yarn has him overhearing a fellow crewmember, about to depart on a long voyage with him in an ocean racer, questioning the yacht owner&apos;s decision of using a "Japanese navigator." Upon hearing this affront, the sprightly Ambo - all 127 pounds of him - popped up from the cabin and into the cockpit to face down the muscleman. With his blasting basso profundo voice, he leveled them with this crack: "We found Pearl Harbor, didn&apos;t we?" During one evening the night before a Fort Lauderdale to Key West Race, Ladd recalls everyone drinking Mount Gay rum a little heavier than usual to get through an evening with a plodding young singer with a guitar. After one long, agonizing set, Ambo loudly startled the entertainer by shouting a question: "Hey, kid! What did you do with the money?" The puzzled performer looked at him and replied, "Money? What money?" And Ambo shouted back, "The money your mother gave you for music lessons!" The remark brought down the house. "There were so many funny stories, many of which could be considered unprintable in a boating magazine," says Ladd. 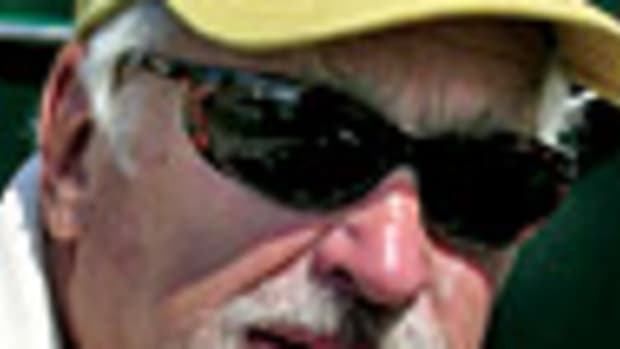 Ocean racer Jack King was quoted in the forum section of the online sailing newsletter Scuttlebutt after Ambo&apos;s death: "If I had to sail in a storm in shark-infested waters and could have only one shipmate, it would be Gino Ambo." 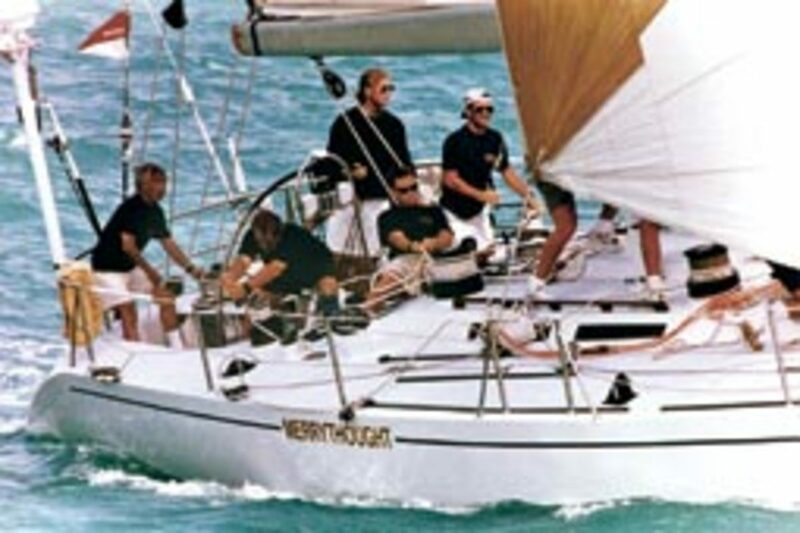 Much of Ambo&apos;s ocean racing was on board King&apos;s series of sailboats named Merrythought from the 1970s until 1995, when the last one was sold and King retired from the sport. "We raced together all over - the Great Lakes, Florida, Nassau, the Pineapple Cup in Jamaica, Marblehead to Halifax, Annapolis to Newport, the Sardinia Cup in Italy, the Fastnet, Cowes Week, you name it," says King. "He was good at everything he did and very erudite, who could dish it out and take it. I first met him when he was side-by-side to us on another boat for the last 12 miles into the harbor. The race sponsors supplied us with many, many miniatures of gin and we tossed them to and fro all the way in. His boat wound up on the beach. Another time in St. Tropez he returned our crew rental car with the front bumper in the rear seat. An always entertaining and competent crewmember who never got rattled, even when we lost a rudder." King, 82, now races a Herreshoff 12-1/2 at his mountain lake home in North Carolina. Ambo is survived by his wife; two sons, Bruce Ambo of Los Angeles and Gene Ambo Jr., a Chicago photographer of rock bands; a daughter, Joan Ambo of Chicago; and two grandchildren. Memorial services included the scattering of his ashes in Chicago and off Annapolis at buoy R2.